Last week I was very lucky to be working in Dubai. I presented at the Digital Education Conference giving a keynote and also taking part in an App Battle with Steve Bambury. It was brilliant! I had a great time. I also was very lucky to get my hands on an Appy Kids Smart School Kit. The kit includes a toy, which can double up as an iPad stand, and a set of cards. The cards cover letter, shapes, colours and numbers. 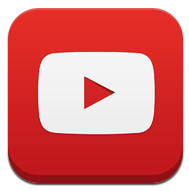 There is also an app, which is free and available on both the app store and google play. The following video shows what the kit is all about. It is a fantastic tool to use in the classroom. To have one that you can set up and have in the continuous provision area or as a small group activity would be a great way for children to build confidence and practise their letter, number and shape knowledge. It is a great way to take learning beyond the screen. Mr P's Round Up of Christmas Adverts 2016! It is nearing the festive season and as always our televisions are full of some Christmas themed adverts. They have almost a tradition in themselves. For a number of years, I have blogged ideas for using these adverts in class. Despite seeing plenty of other blogs, I thought I would share some ideas that have a unique text-centric approach. 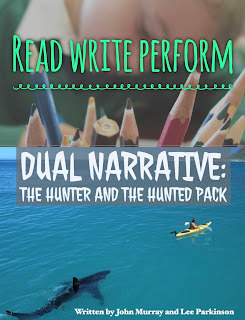 I am very excited to announce the release of the latest Read Write Perform pack - Dual Narrative: The Hunter and The Hunted. It takes a lot of time and effort to create each pack but both myself and John are so proud to see the packs being used by schools worldwide and the fantastic feedback we are getting. The idea is simple - a cohesive and engaging approach to teaching English. A meaningful project that covers: reading, writing and performing. Technology is not essential to use the pack however the pack demonstrates how technology should be used to enhance and transform learning. This pack focuses and building tension effectively in writing. The pack uses the dual narrative technique to achieve this. NEW VLOG - What's in your Teacher Bag? For the past few years in preparation for Remembrance Day, we have shared our digital remembrance wall to try and get pupils and parents to share details of family members who lost their lives during the war. To do this we use Padlet. Padlet is an app/website that allows you to create a virtual wall that allows you to share ideas, pictures and weblinks. It is a great way to try and make Remembrance Day more personal to our pupils. Once we have some contributions, we can share these on a whiteboard and allow the children to see the sacrifice and impact it has had one people close to us.